Why Should Employees’ Email Signatures be Centrally Managed? The Exclaimer Blog Top Tips Why Should Employees’ Email Signatures be Centrally Managed? The question often arises “why should we centrally manage employees’ email signatures, when they can create their own?”. Although that would be the simple choice, it’s not always the smartest, as signatures can end up looking unprofessional and unorganized. Giving your employees free rein over their email signatures can often lead to inconsistent branding, or the changing or removal of important elements such as the disclaimer. When organizations send hundreds, or sometimes thousands of emails a day, having a messy email signature can leave a bad impression on the recipient and lose your company credibility. By centrally managing employees’ email signatures, you can ensure they will always get a consistent, professional email signature on all emails they send. You’re the one in control of what the signature looks like, and you control when it needs changing. What ways can you centrally manage email signatures? With most email platforms, IT administrators can create and control users’ email signatures through the admin center. However, this can often be quite timely and difficult to do as it will involve manually implementing complicated transport rules or scripting. There will also be limitations when designing signatures this way, such as being unable to edit the HTML code or add images. One way to simplify the management of email signatures is by using a dedicated solution. With a dedicated email signature solution, you don’t have to worry about employees messing with their signature, or figuring out complicated rules and scripts. Why use a dedicated email signature solution? An email signature management solution will eliminate manual labor, and will allow you to easily create and control all employees’ signatures from a central location. You’ll have full control over who gets what signature, ensuring your organization’s brand stays consistent, and signature elements stay unchanged. By using a dedicated email signature solution, you also save yourself time and money. Your IT department won’t have to go around visiting every employees’ computers to check they have the correct signature, meaning they can spend more time on the important tasks. For more reasons to use a dedicated solution, check out this post from our Email Signature Handbook: https://www.exclaimer.com/email-signature-handbook/10050-email-signature-software. 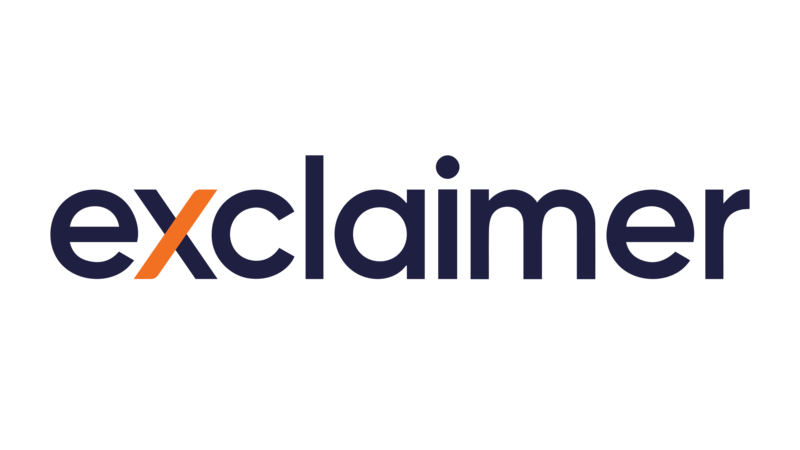 Exclaimer has a range of dedicated, cloud-based and on-premises email signature management solutions for Office 365, Exchange and G Suite. Exclaimer’s solutions allow for easy creation and control of organizational email signatures, you can also add dynamic elements such as social media icons or a promotional banner. Exclaimer’s solutions make managing email signatures a breeze, and they all come with a wide-range of features, so you can get the most out of your corporate signatures. They also all come with a fully functional free trial – start yours today!